How can I export/share my votes? The questions that you create for an event can be exported in an Excel document. 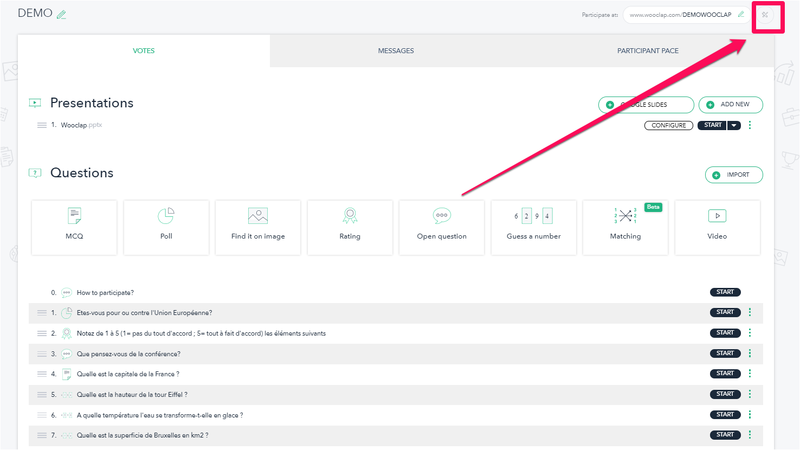 Click on Export event questions. 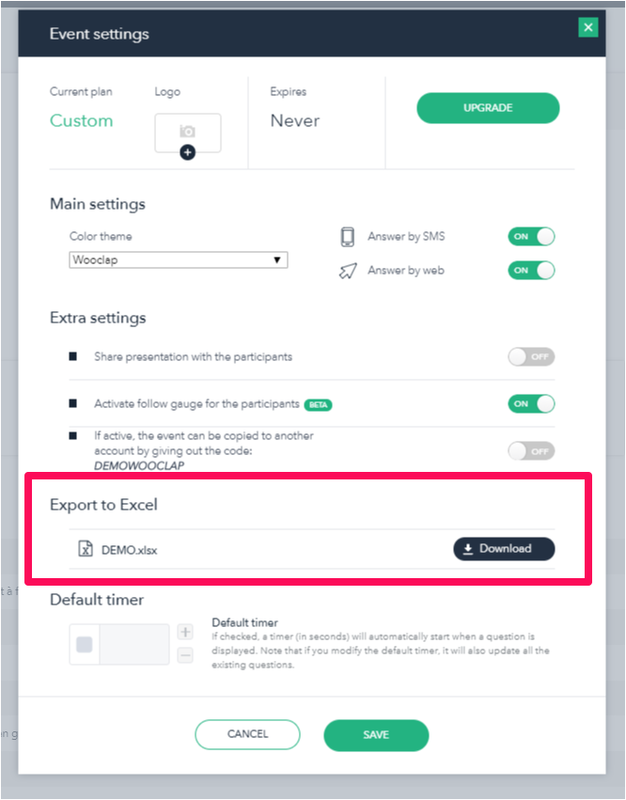 An Excel document will automatically be downloaded to your computer. You will find a table showing your votes by type and the answers associated with them. If there are several possible answers, they will be separated by a comma. 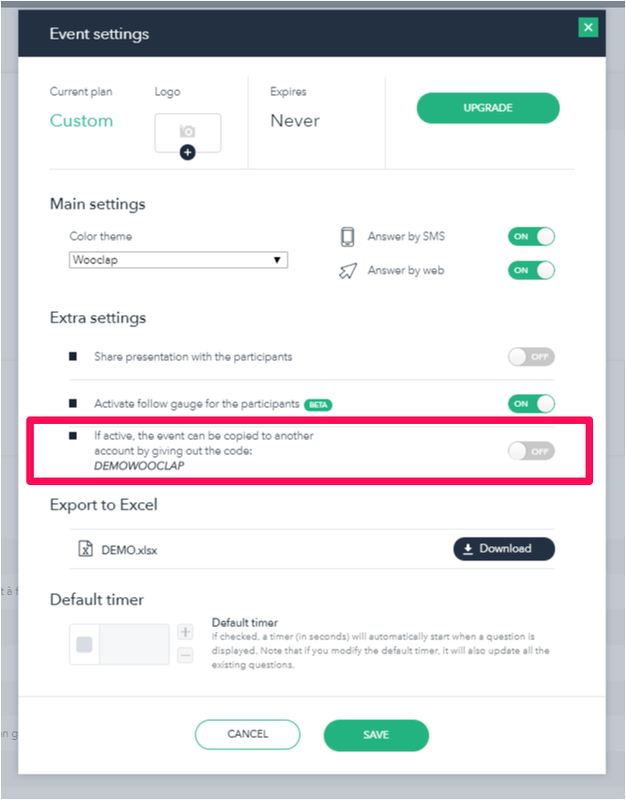 If you want to share your votes with your colleagues, simply send them the code of your event after activating the share button. They can then import your votes into their own account.